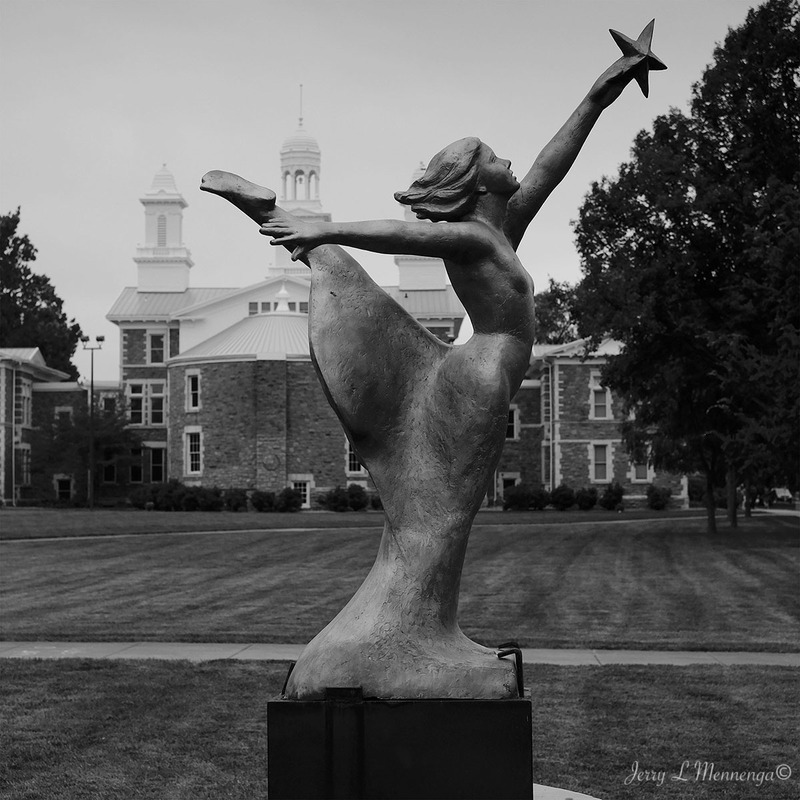 As I explain to students who take some of the photo courses I teach through the Lifelong Learning program at Western Iowa Tech in Siouxland, sometimes the weather, time of year, and other factors will nudge my shooting style on a particular day. On a trip to Vermillion, SD it was an overcast day. No bright blue skies, the leaves not yet turning and apparently more rain on the way. But it didn’t deter me from shooting a few images. 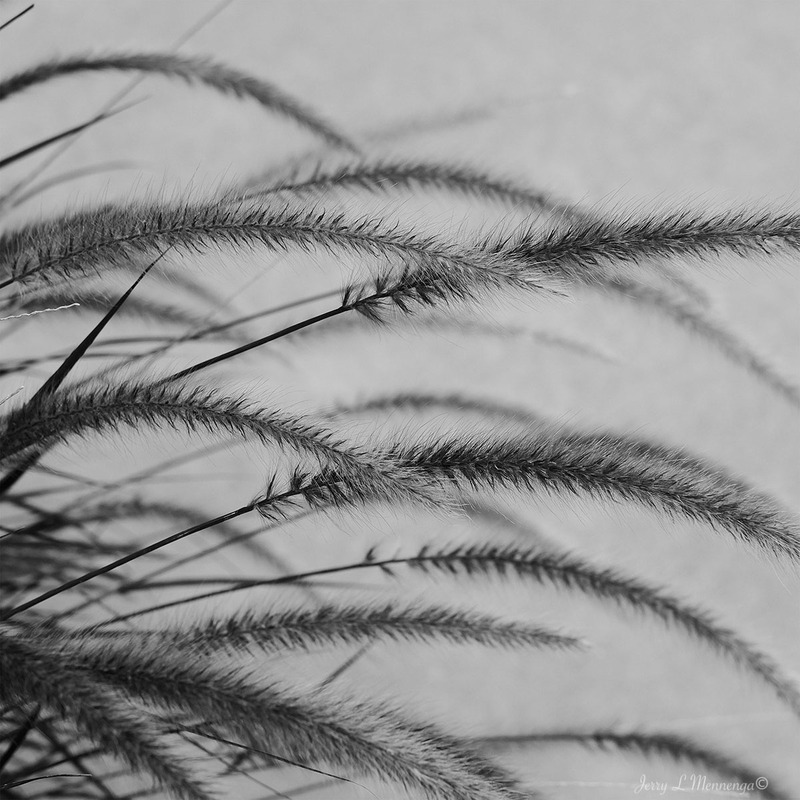 I photographed in B&W, working with tonality and lines and form. Not all images are competition winners, most in fact are not. 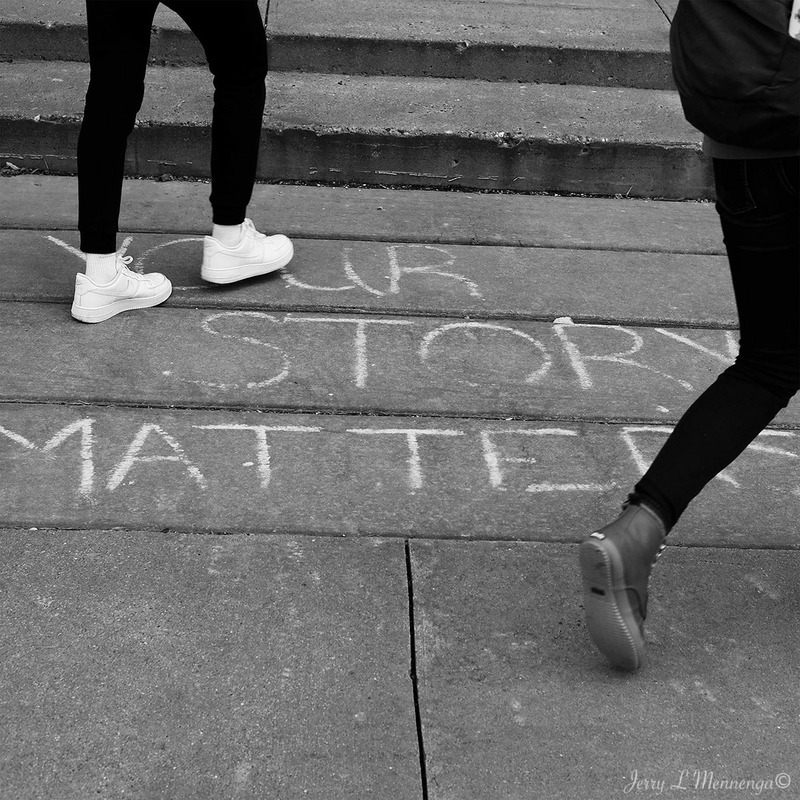 But still they achieve the effect I was looking to create and help tell their own story. Color isn’t everything, and at times can detract from an image. So one must rely on other ways to relaying to the viewer what they the photographer is trying to share. Light and shadow, form and shape, etc. When I visited it had been after a rather contentious fight in the U.S. Senate about the newly confirmed Supreme Court Justice. 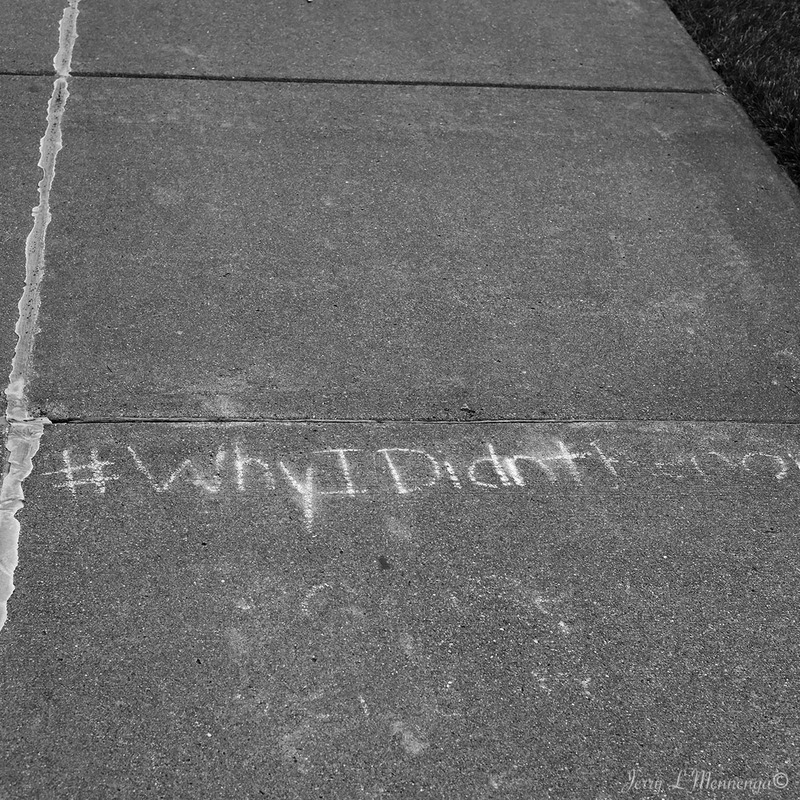 Some remnants of students’ thoughts remained, although many were fading from the sidewalks they were expressed on. 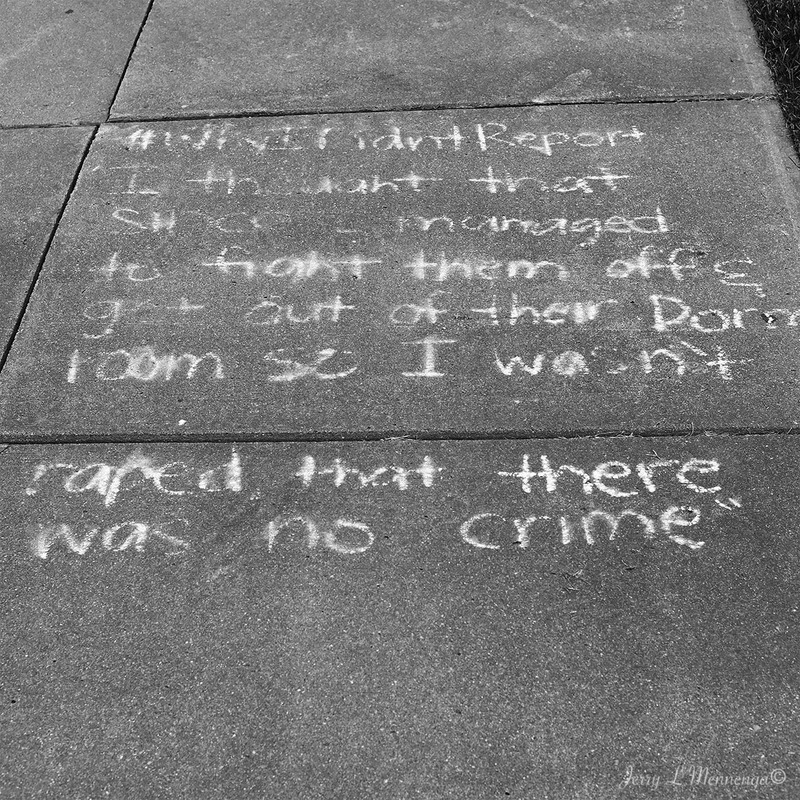 And here again, I felt B&W was a better way of expressing the students’ written thoughts rather than color and the colorful chalk used. It provided a more stark presentation of a tough topic that is only now gaining mainstream attention. 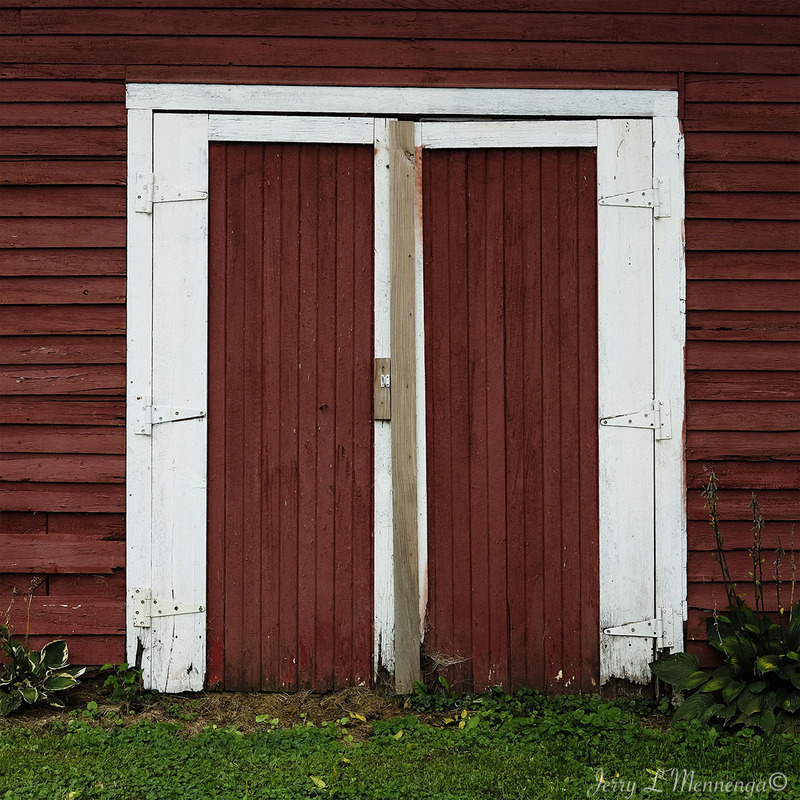 I am always attracted to doorways when I am out and about. Some seem inviting, others have a nice shape or form. Definitely there is something always on the other side and so there is also a bit of mystery as to what lies beyond. Some questions may never be answered, but I guess that is part of the appeal and wondering and imagination. I found out recently that the National Music Museum located on the campus of the University of South Dakota, Vermillion, SD will be closing for two years for an expansion project of the museum that will add 16,000 square feet of additional space, which includes two floors and an underground level. 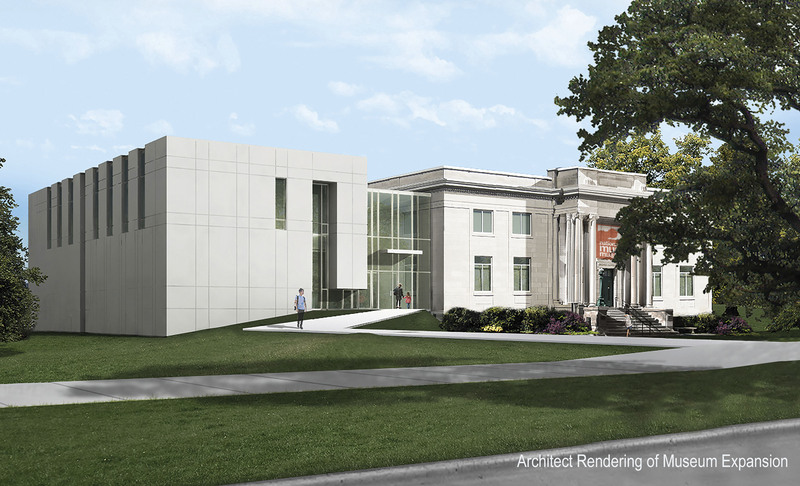 From reading a press release and a current newsletter I found out that the 1910 former Carnegie Library expansion will include extra display area and a new performing space. 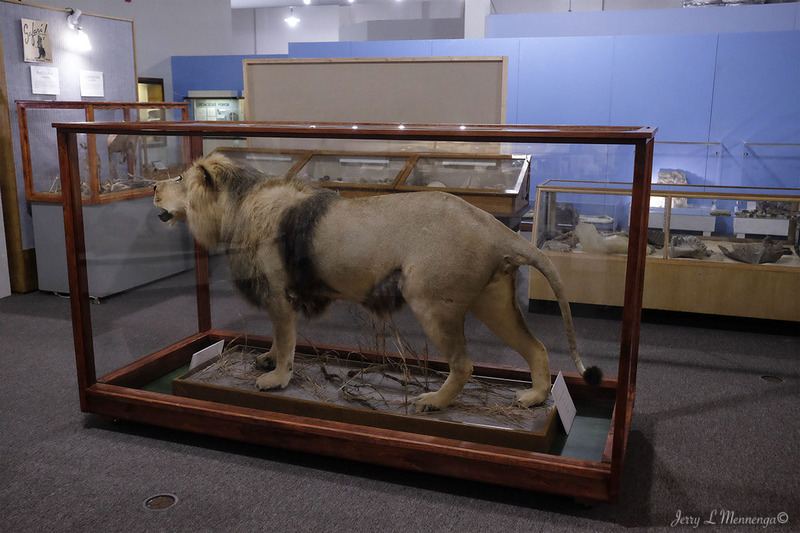 The museum currently houses 15,000 instruments plus other material associated with them. 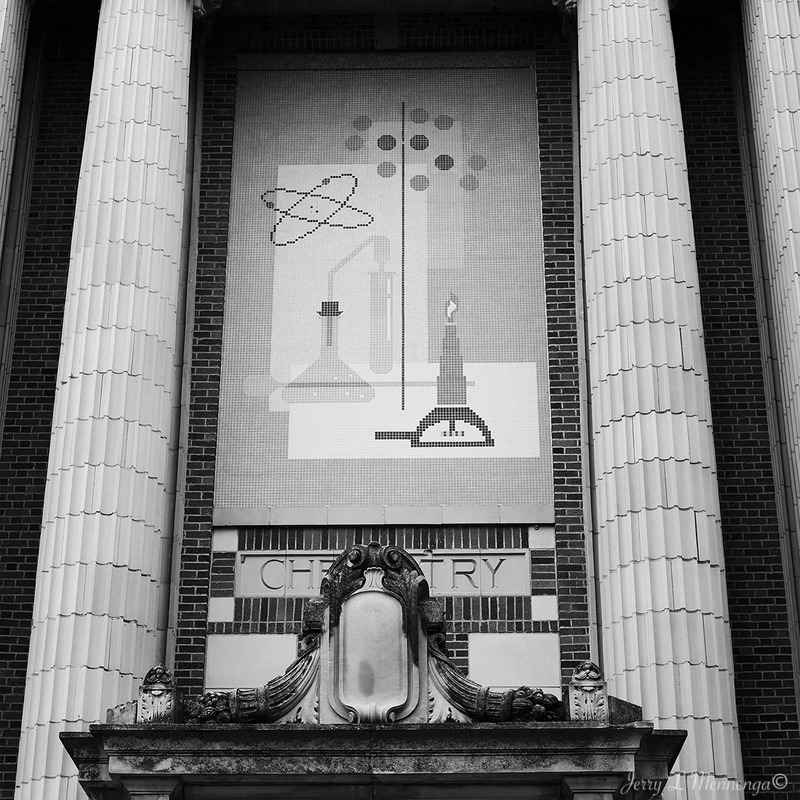 It will be expanding its restoration area and be adding a dedicated research area. I have visited the museum a few times taking advantage of free lunch time concerts that are presented there. A real treat to hear accomplished musicians perform their stuff. I especially like the Christmas concerts which gets a person into the mood for the season. I will be sad not to hear a Christmas concert this year or next in the museum’s current performance space. It is small and intimate like a group of friends arriving at someone’s parlor to hear a performance. Performances will continue though at other venues on campus with a scheduled Christmas performance on the books. 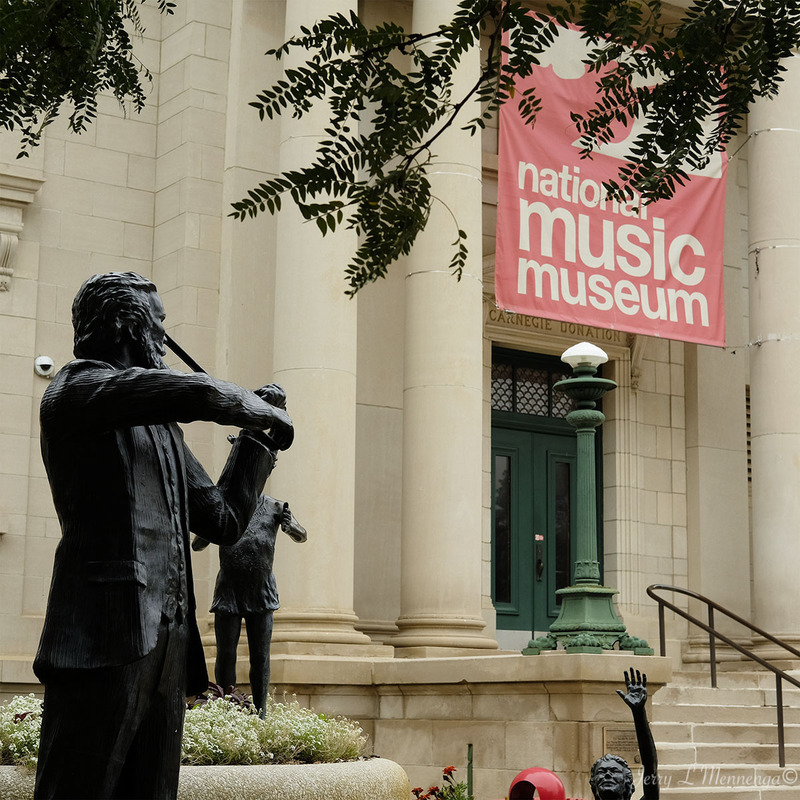 The expansion will benefit the museum though, and its continued service to the world of music and make a living art a little easier to ensure its future and enjoyment of music lovers. 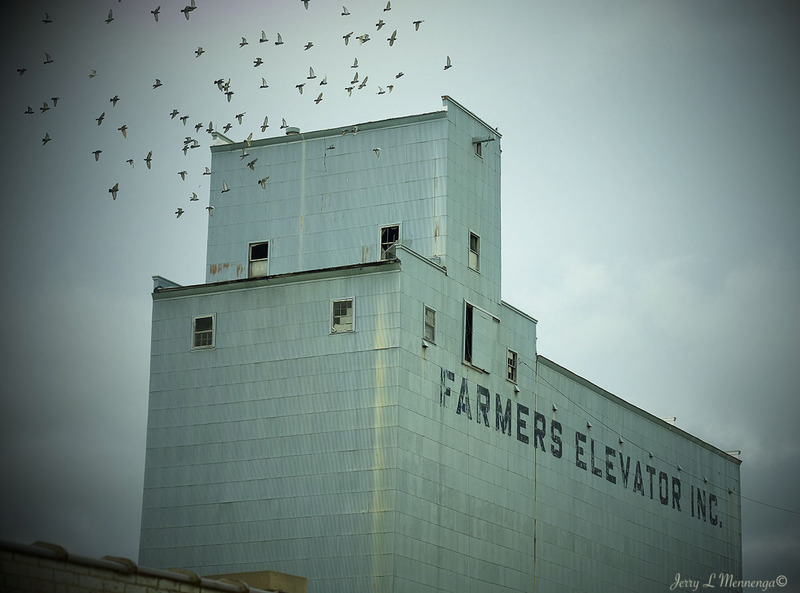 It’s been a few months since I had visited this part of Siouxland, traveling to Vermillion, SD. I attended a performance by a musical group that I will write about in a later post, but then went to the downtown area to eat some lunch. And it’s always a pleasant surprise to find or notice something I had not seen before. 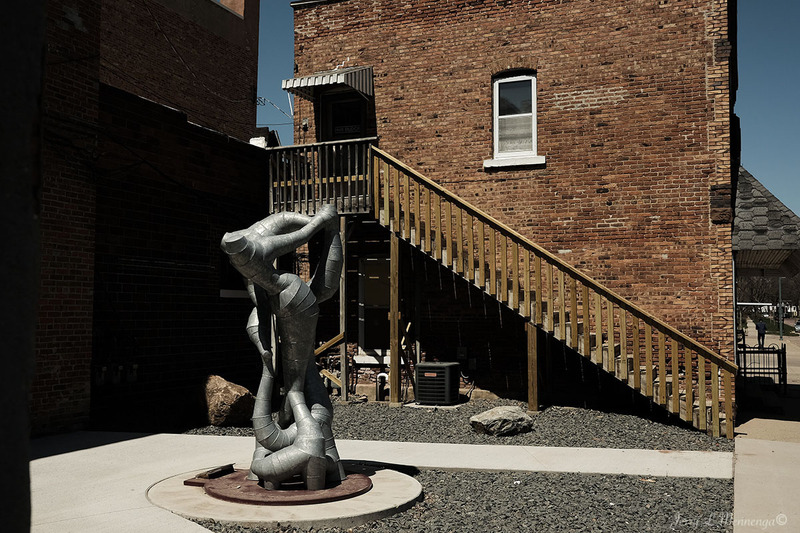 And this time it was sculpted art pieces in the downtown area. It was sweet and nice to see a community have pride to showcase something visual that adds to the ambience of the area, and to let others visiting to also enjoy. 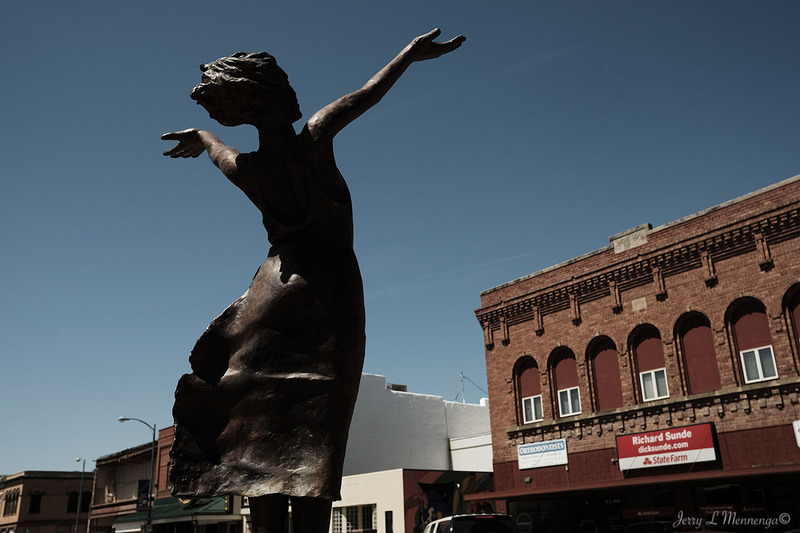 As part of flyover country, Siouxland is surprising in the number of museums one can be found, like the W.H. Over Museum in Vermillion, SD. Having visited it over time, it was nice to see some newly finished displays. Unlike major metropolitan facilities small towns rely on volunteers and a smaller donation pool to make ends meet. 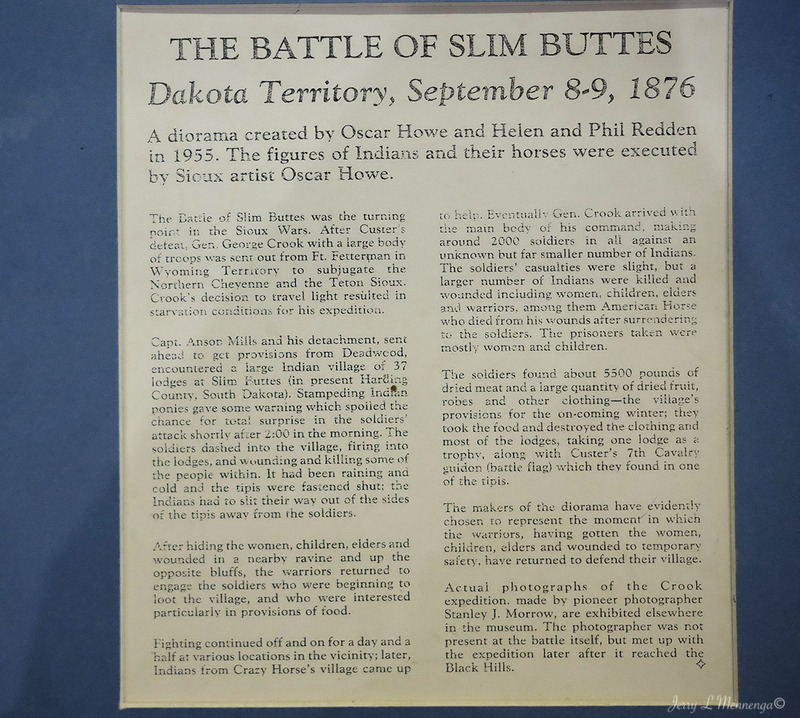 I have taken a couple of my Photo Safari classes there to look at exhibits and get a better sense of history in the early Dakotas when there was only one, not North and South Dakota, during the country’s expansion west. 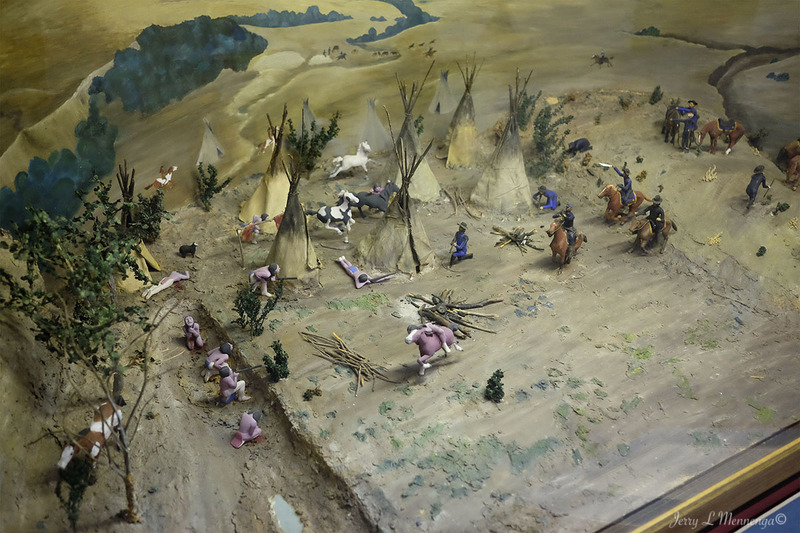 And each time I return, and the same is true in visiting other museums, something new catches my eye and gives me a little better understanding of what life was like in the early Siouxland area. When I am out surveying Siouxland, I am always happy with serendipitous encounters that allows me to find a unique place to visit and photograph. Such encounters can enrich one’s knowledge and makes visiting a place all the more enjoyable, such as the W.H. Over Museum in Vermillion, SD. Meeting Lynn Muller, owner of an extensive collection of Kodak cameras, which in itself is a history of photography in America. George Eastman created an empire built on encouraging people to take photographs. Muller was gracious enough to take some time to show me his collection and talk about the history of Kodak. He explained he became interested in photography during the Vietnam war. An art student, he said there wasn’t the ability to have paints, an easel or canvas, so he picked up a camera. He began his collecting in 1971 and that still continues today. 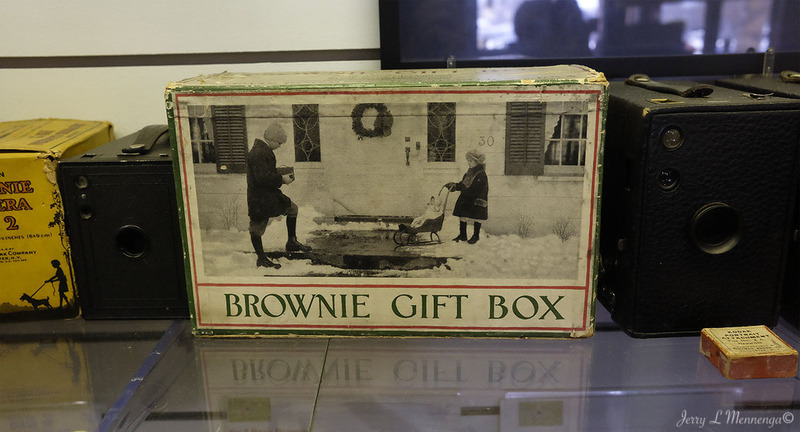 Muller’s collection includes many examples of the Brownie camera, the first product Eastman mass produced, convincing the American public that it should photograph everyday events in the lives of its family to remember those moments. He explained that Eastman also saw the opportunity of promoting this “hobby” to women, utilizing a marketing campaign to show them as independent people. 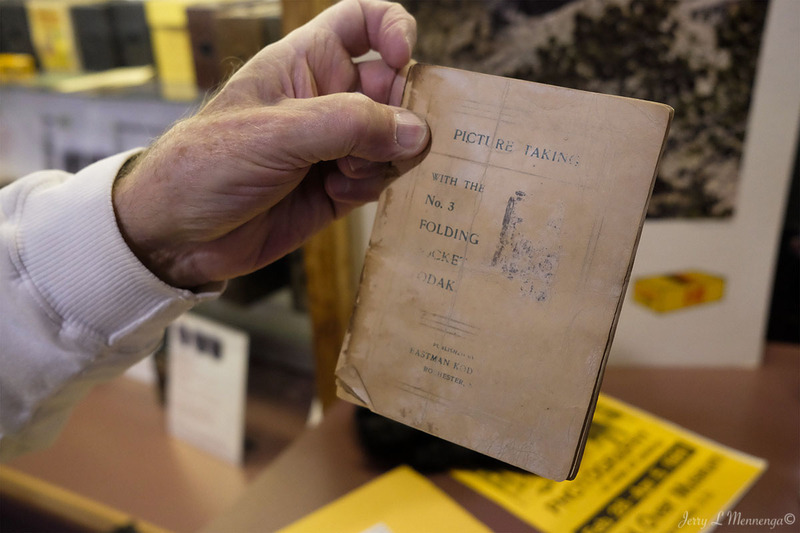 The breadth and depth of Muller’s collection is breathtaking, and if one calls ahead to the museum, it is possible to schedule time with Muller for him to explain the history of Kodak and many other camera brands of which he also collects. Therein lies my serendipitous moment when museum personnel let me into the special section holding the collection, Mr. Muller happened to stop by. It’s amazing to see all of the cameras, but no less amazing to hear him talk about Eastman and his rise to being a leading figure in photography, inventing the use of roll film rather than glass plates for taking pictures. And creating a smaller camera body as opposed to the larger cameras used by the likes of Matthew Brady and other early photographic pioneers thus bring photography to the masses. 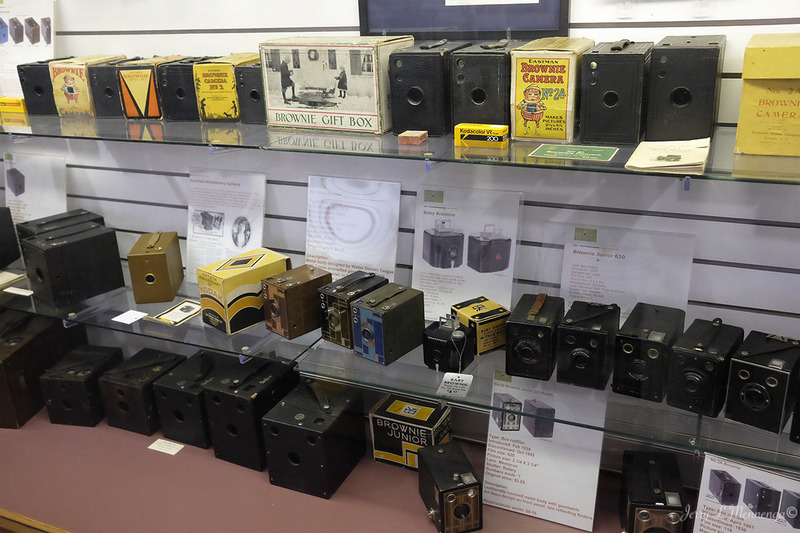 The first cameras contained a roll film with 100 exposures and cost about $25.00. 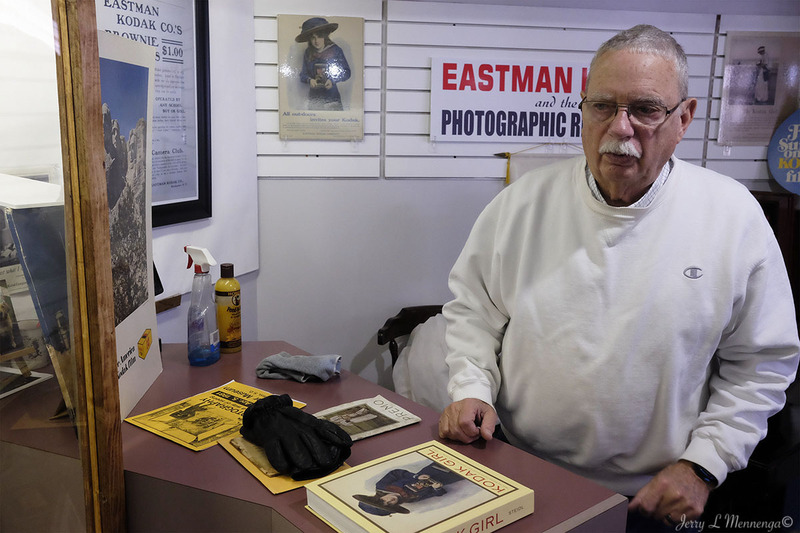 Eastman brought the photographic experience to the masses and soon everyone was taking photographs to commemorate some aspect of their life or family’s life. And it was fun to learn this history in Siouxland, without having to travel to New York state and visiting the museum in Rochester. Although that would be a nice trip for any photography buff. And as much as I like serendipity when I photograph, I don’t mind it at all when it happens in life as well. With the Fuji X series cameras that I use to photograph with I enjoy sometimes “playing” with some of the special features. Especially the “toy camera” feature. 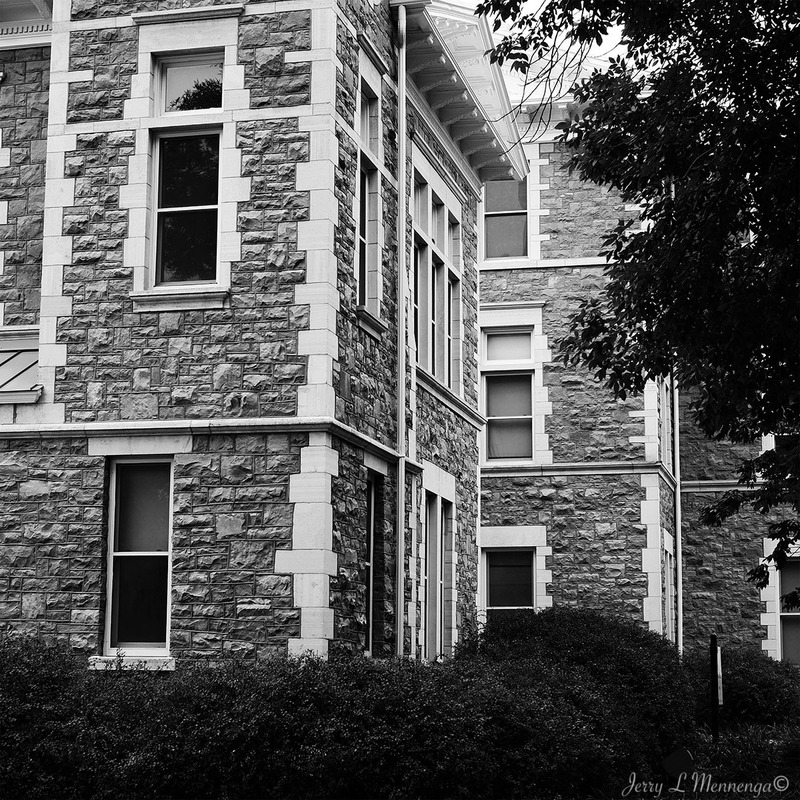 It is reminiscent to me of using a Holga plastic camera when I previously shot film. This setting augments reality and with some subjects add a little something to the image. At least I think so. 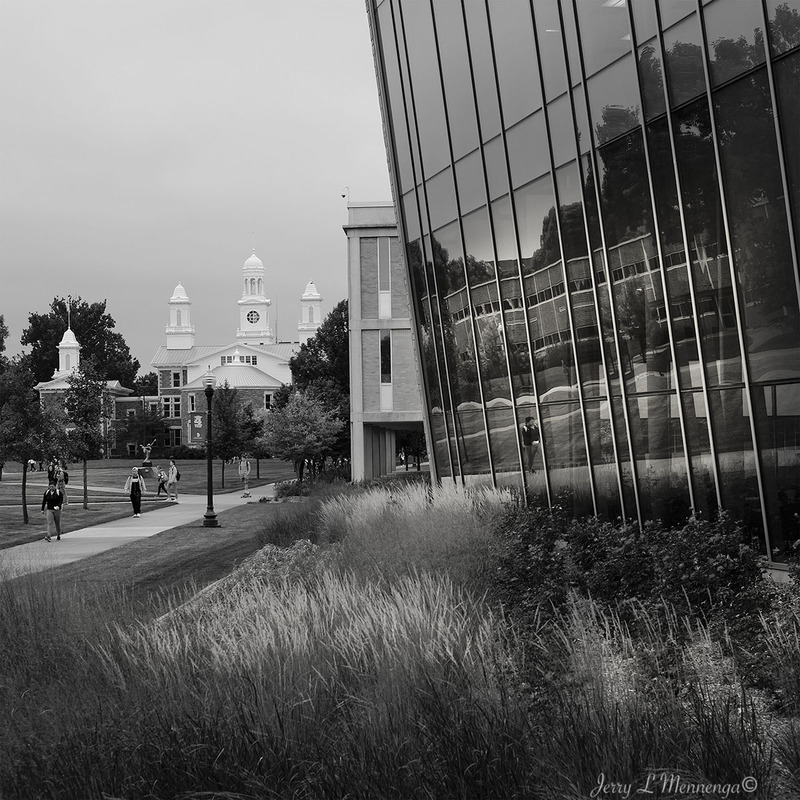 It creates a bit of a vignette and softens the image and sometimes adds a bit of color saturation. 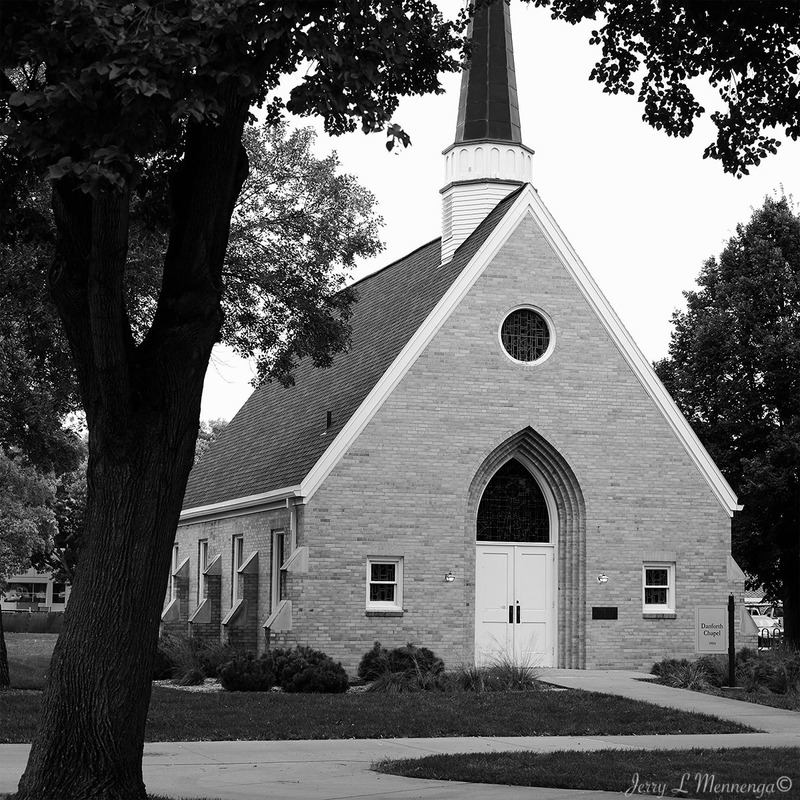 Walking around Vermillion where I have been numerous times I enjoy changing up the types of images I might capture. And sometimes I believe it depends on the type of day and weather with how this effect interacts with the subject in creating the image. I think one should always continue exploring how one sees and within limits and a budget limit if one needs too, how to photograph subjects and they sharing that different view with others.